The Abu Dhabi arts and culture scene came alive for the opening of Abu Dhabi Festival’s Portrait Of A Nation exhibition at Emirates Palace last night. I was there to get up close and personal with the artworks and the creative minds behind them. The exhibit features twenty artworks created by twenty Emirati artists to mark Abu Dhabi Music & Arts Foundation’s 20th anniversary. The specially commissioned artworks join 30 additional pieces by local artists and explore the relationships between the creatives and their homeland. “It is the artists of a nation who build the very fabric of cultures by offering their perspectives on the world,” H.E. Hoda Al Khamis-Kanoo, Founder of Abu Dhabi Music & Arts Foundation and Abu Dhabi Festival said. 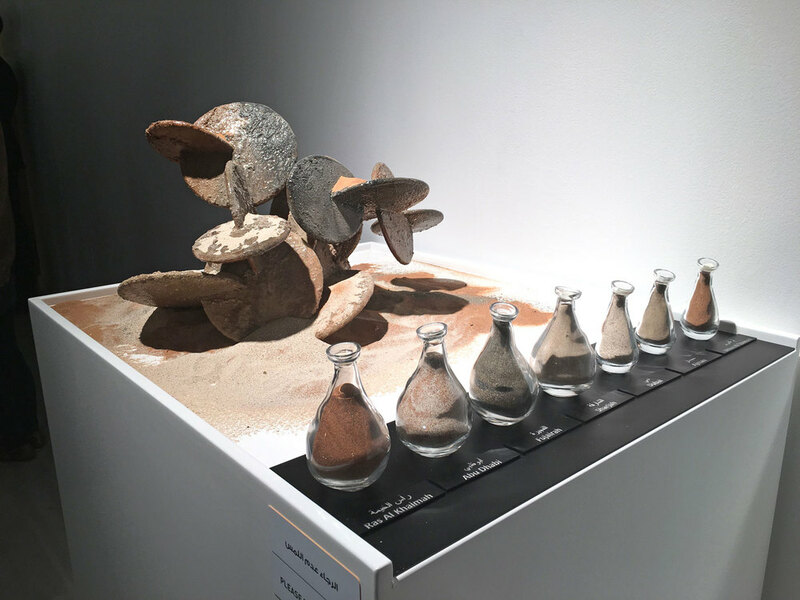 The ever evolving arts scene in the UAE is reflected in the diverse mediums used in the exhibit - which features sculptures, paintings, photographs, collages, video installations and more. The eclectic assortment of artwork comes from some of the UAE’s leading contemporary artists, such as Ebtisam Abdul Aziz, Amna Al Dabbagh, and Hassan Sharif. The exhibition is viewable to the public with regular guided tours until 10 May 2016 at The Gallery, Emirates Palace. Following the exhibit’s opening ceremony, guests were treated to an intimate recital by Natalie Dessay & Laurent Naouri. The concert was the first of many impressive performances in this year’s festival line up. The French duo stayed true to their heritage, performing quintessentially French songs accompanied on piano by Maciej Pikulski. The program featured music by some of the greatest French composers of all time, including Gabriel Fauré, Henri Duparc, Francis Poulenc, Léo Delibes and Charles-Marie Widor.